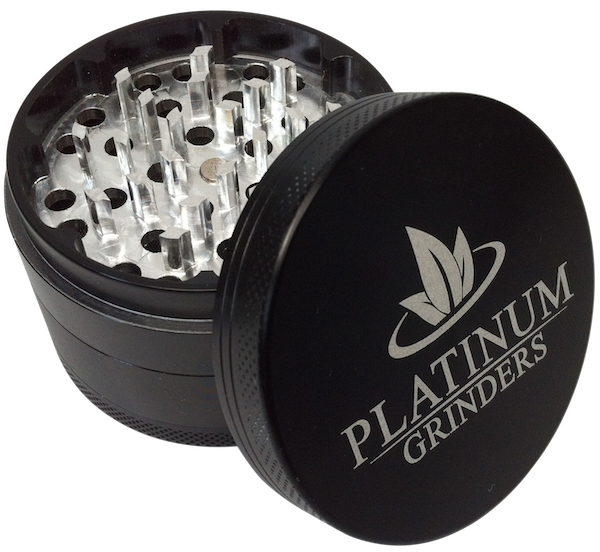 All Platinum Grinders are created by using the latest CNC technology and high grade aluminum materials that are are built to last! 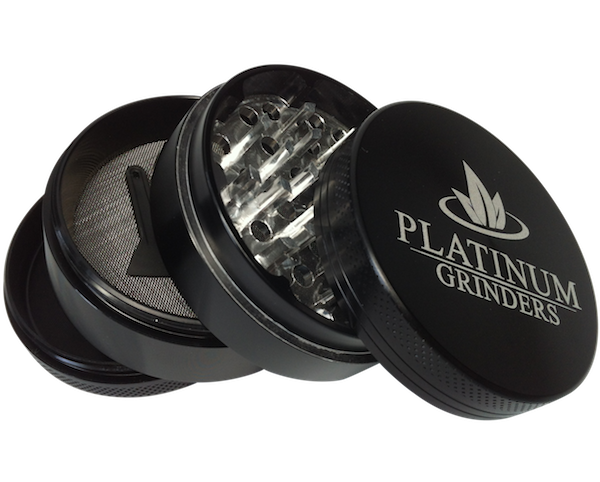 Our grinders are anodized (not painted) which means NO flaking or pealing. 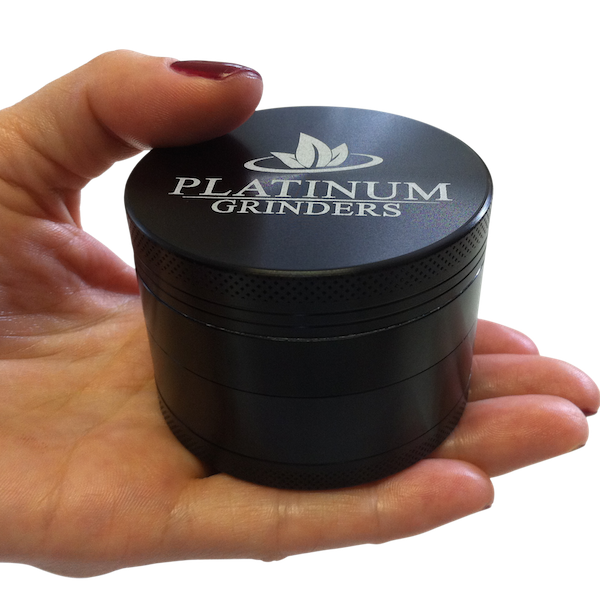 Powerful neodymium magnets keeps your herbs in the grinder and prevents spillage and odor containment. A thin Poly O-Ring minimizes friction, and accommodates a very smooth milling experience. 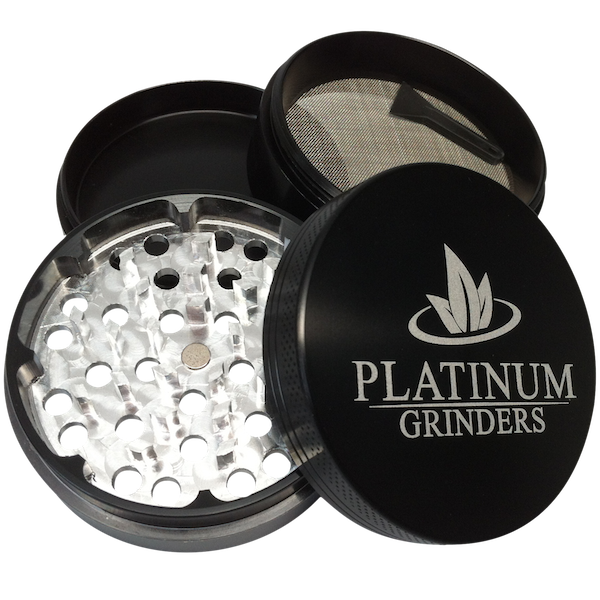 Sharp diamond shaped cutting teeth will shred just about anything you place in the grinder, and the SS mesh screen filters finely ground pollen into the catcher compartment below. HIGHEST QUALITY AT AN AFFORDABLE PRICE! Wonderful grinder. I am really, truly pleased with this grinder. It's a lot bigger then I was expecting, and even better quality then the price would let you believe. 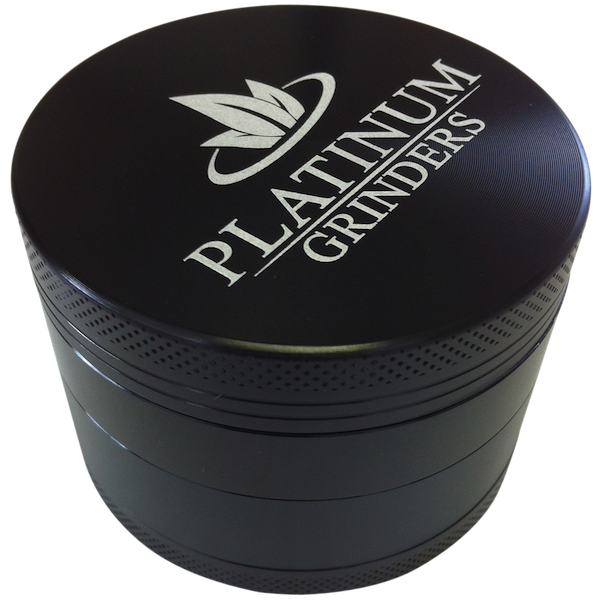 This is the best “herb” grinder for the price! Feels hefty but not too heavy, and it’s nice to look at. The diamond edged teeth are super sharp, and it grinds my herbs & spices to a fluffy/fine consistency. This will be my daily grinder for sure! 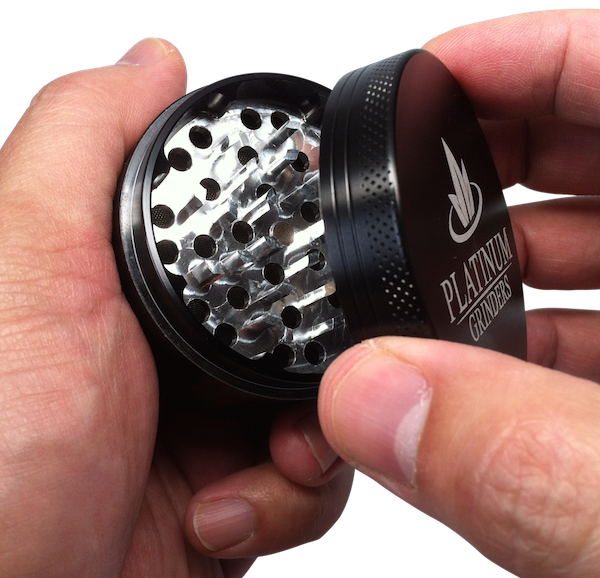 This grinder is AWESOME! It grinds to a fine consistency and the lid of the grinder turns smoothly, it doesn't catch on anything. It's large enough to grind a pretty good amount in one use. Crafted from Ultra-Strength Aircraft Grade Aluminum for extra toughness, durability & highest quality. For extreme efficiency and effortless shredding. Stainless Steel Mesh Screen filters the finest pollen into the big catcher. Pollen scraper included. Black Anodized Finish prevents flaking, pealing or smudge marks. For incredible closure, freshness & odor control. Thin Poly O-Ring for smooth grinding and less friction.